Missions will guide your progress along the game. Accept and complete missions to earn Cron (currency), Tokens, XP, and other rewards. 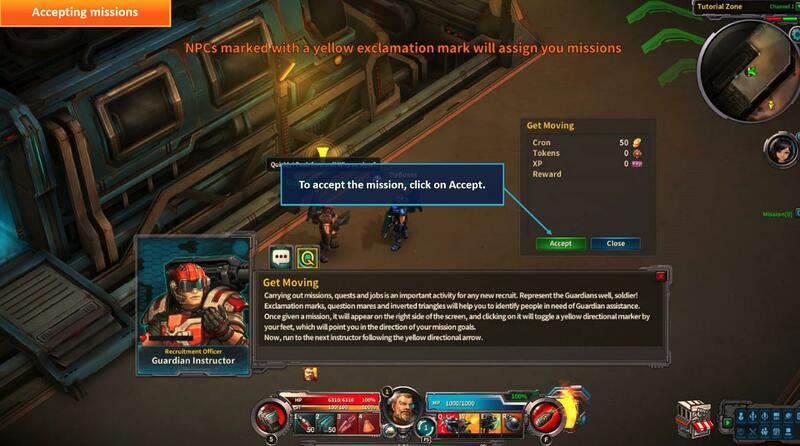 Once you left click on a NPC to open the dialog window, check the mission details by clicking on the Mission button. Mission Status shows the list of missions to complete. 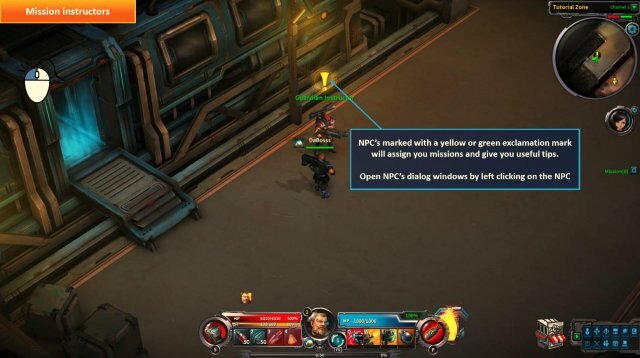 Click on a mission to see the details. To accept the mission, click on Accept. 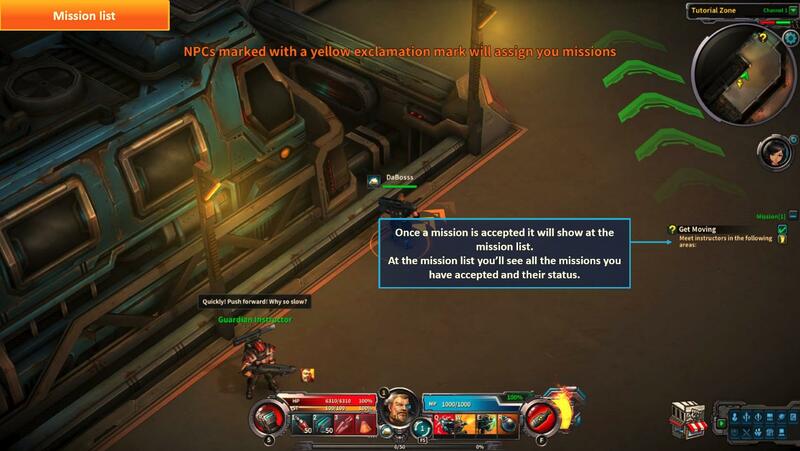 Once a mission is accepted it will show at the mission list. At the mission list you’ll see all the missions you have accepted and their status. If you find it hard to find your way to complete a mission, click on the Footprint icon at the Mission list. 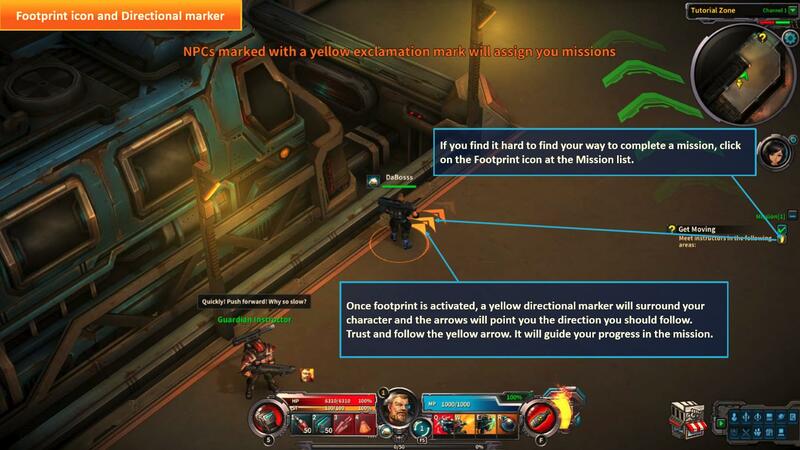 Once footprint is activated, a yellow directional marker will surround your character and the arrows will point you the direction you should follow. Trust and follow the yellow arrow. 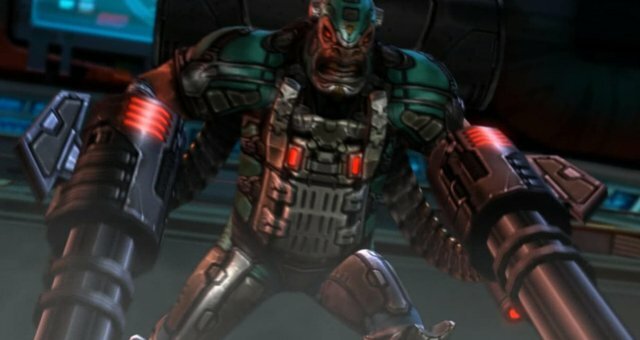 It will guide your progress in the mission. Once you have completed a mission, click on the Mission Status and the reward window will appear. Click on Complete to complete the mission. 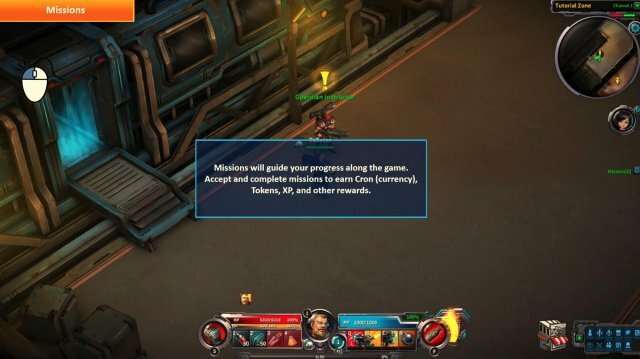 When you complete a mission, it will appear crossed out at the mission list. 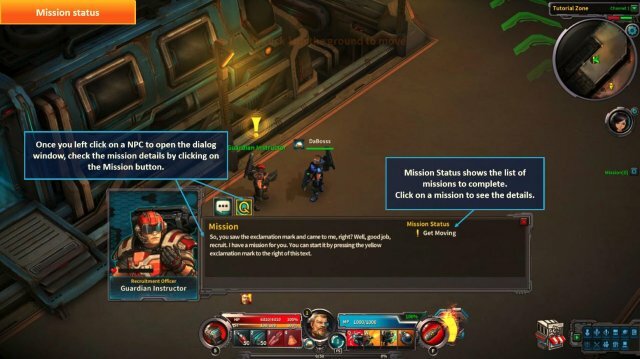 If you click on Close, the mission will remain incomplete. Upon the completion of a mission you will receive Experience points (XP). 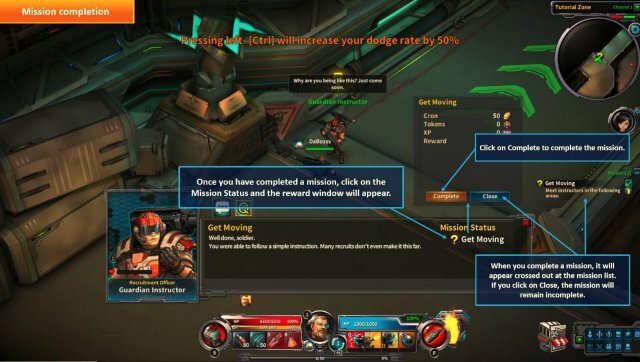 To fulfill a level, you must earn a certain amount of XP by completing missions. 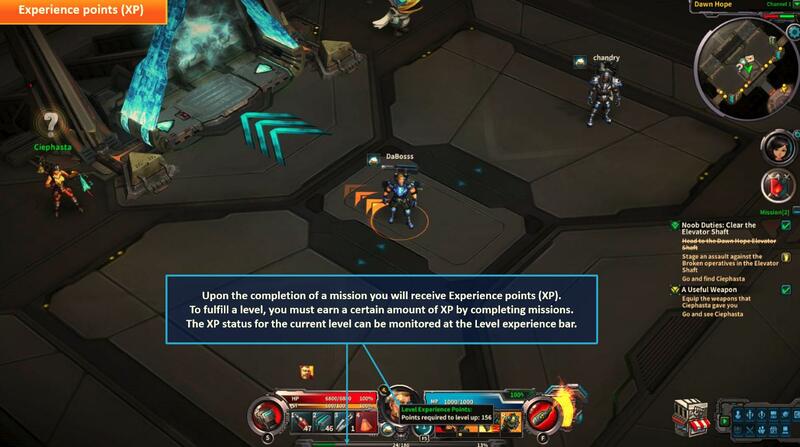 The XP status for the current level can be monitored at the Level experience bar. 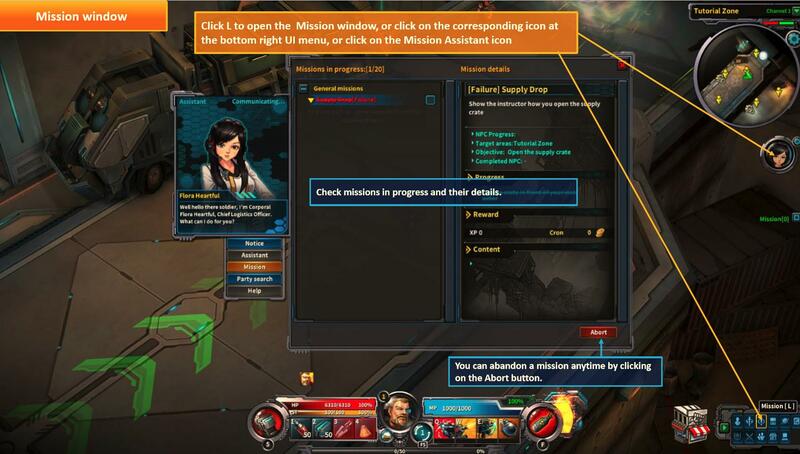 ClickL toopen the Missionwindow, orclickon the corresponding icon at the bottom right UI menu, or click on the Mission Assistant icon. Check missions in progress and their details. You can abandona missionanytime by clicking on the Abort button.